Milk fever is a disease, characterized by reduced blood Calcium (Ca) levels. It is most common in the first few days of lactation when demand for Ca for milk production exceeds the body’s ability to mobilize calcium reserves. Why is Milk Fever important? Clinical cases of milk fever are merely the tip of the iceberg, for every clinical case on your farm there are typically 4 to 6 sub-clinical cases that are never diagnosed on your farm. Each sub-clinical case costs you money. In addition if any of your cows have suffered milk fever (clinical or sub-clinical) in the past, they are more likely to be affected again. There are many strategies for the prevention of milk fever and ideally all would be monitored and implemented to some degree but in practice the most important thing is that your farm has a prevention strategy and is implementing it. BCS management is critical for the prevention of milk fever and fat cows are four times more likely to develop milk fever; probably due to reduced intake immediately pre-calving and having higher concentrations of Ca in their milk. The BCS of your cows should be assessed at drying-off and managed to achieve a target of 3.0à3.25 at calving. Mg has a vital role in Calcium (Ca) metabolism and body Ca mobilisation. Increasing dietary Mg from 0.3 to 0.4% of your cows’ total diet reduces milk fever risk by approximately 62%. In the majority of cases this will mean adding at least 20g of Mg to the diet of your cows from supplements. This is linked to achieving a negative Dietary Cation Anion Difference (DCAD). More comprehensive DCAD strategies involve feeding anionic salts. K has a positive DCAD and it is almost impossible to achieve a sufficiently negative DCAD if the forage has more than 1.8% K (K also ties up Mg!). In practise not all farms will be able to achieve this but a lower DCAD has a linear effect on milk fever risk and therefore the K level should be kept as low as possible. 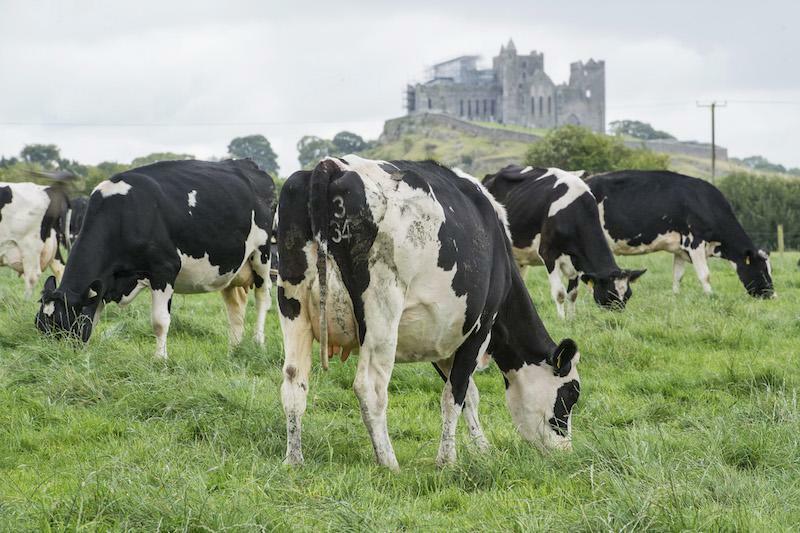 Irish grass silage has on average 2.3% K and a huge range 0.6à5.6%, therefore it is strongly recommended to test your dry cow silage for K.